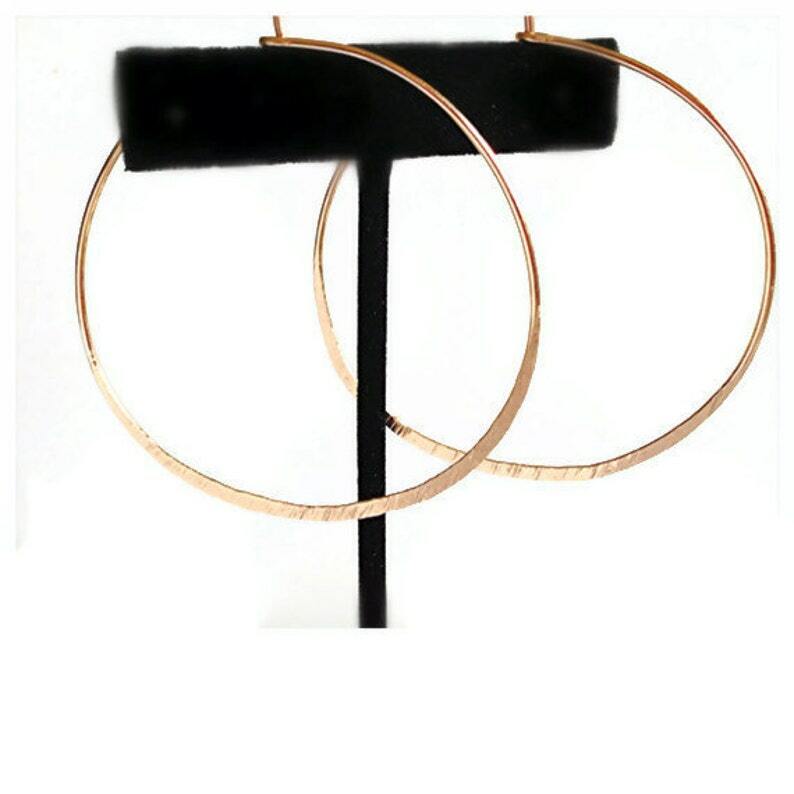 Gorgeous hoops earrings, Simple and everyday elegant, hammered gold hoops with a wire of 18 gauge 14k/20k gold filled. If you like simple, classy, and Unique jewelry, these earrings are perfect for you. They make an elegant, versatile gift. These hoops can be made in three sizes, small, medium, or large this listing. Please contact me for pricing on the large size. Rose gold is available on request. The hoops will be polished to a high shine. Perfect!!!!!! This is my third time ordering from this store. DO NOT BUY FROM THIS SELLER! She is a fraud and will not work with you AT ALL of an issue arises. Also her work is awful and looks cheap in person. Don’t say i didn’t warn you. She will also NOT refund or exchange anything for you so you will be out money and left with literal garbage.